Freshwater Pearl Earrings only $0.99 a Pair Shipped! Whoa! 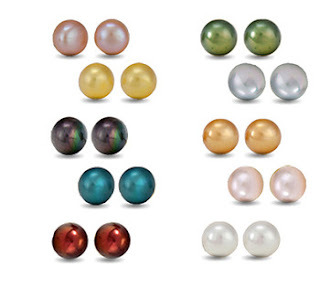 Today only, Shadora has freshwater pearl stud earrings priced at only $0.99 a pair. The only catch is, you need to make a $4.99+ order to get them at this price. This means you can get 6 pairs for only $5.94 shipped! There are 10 different colors to choose from and they are set in sterling silver. Of course, you don't need to buy 6 pairs to get this price; you can buy whatever you want as long as your order is at least $4.99. Click here to score this awesome deal! Thanks for sharing! I just ordered 10 pairs!